136 works Search for books with subject La Paz. 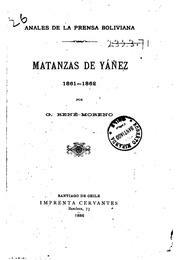 20th century, 17th century, 19th century, 1700-1900, 1825-1879, 18th century, 1952-1982, 1970-2008, 1989, Indeterminado. Are you sure you want to remove La Paz from your list?